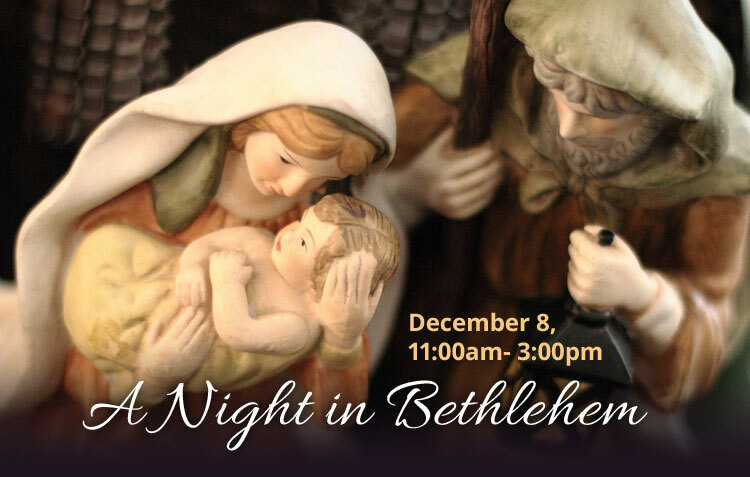 On December 8, 11:00am- 3:00pm there will be “A Night in Bethlehem”—a Christmas event for everyone! Experience Bethlehem during the census, visit shopkeepers in the marketplace and learn about their trades. Make special keepsakes and sample breads, sweets, cheeses and other foods on your journey through Bethlehem. Follow the innkeeper to the stable and meet Mary, Joseph and baby Jesus.